PALMDALE – The City of Palmdale and Point Man Antelope Valley will host the Antelope Valley’s Mobile Vietnam Veterans Memorial Wall (AV Wall) from 5 p.m. this Thursday, Nov. 8, to 8 a.m. Tuesday, Nov. 13, at the Palmdale Amphitheater, located at 2723 Rancho Vista Blvd. Photos may be mailed to The AV Wall, P.O. Box 4874, Lancaster, CA 93539-4874 or emailed to Stacia@avwall.org. Veterans should include their name, contact information, branch of service, date of service and location of service. Copies of original photos are requested. Deadline is Nov. 1. The annual Veterans Day ceremony is planned for 11 a.m. on Sunday, Nov. 11. A Candlelight Memorial Walk followed by Taps will take place at 9 p.m. that evening. 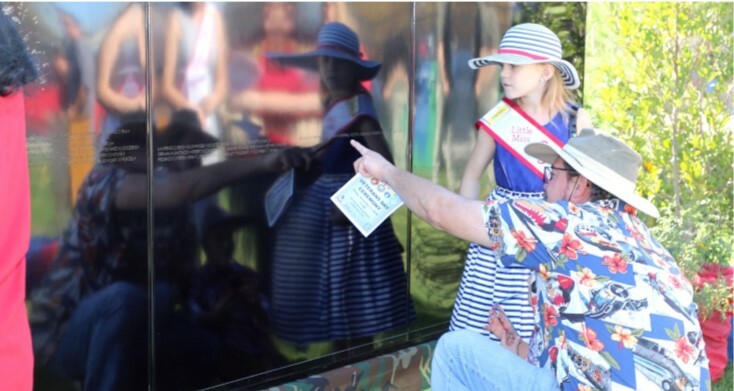 Taps will be played nightly at 9 p.m.
For more information, visit www.AVWALL.org , Facebook @avwalldisplay, or call 661-524-6408. 1 comment for "AV Wall display opens this Thursday at Palmdale Amphitheater"
Thank you to all of the veterans for their service to this country.